I know you are excited to read my first interview and meet my first interviewee. I am equally excited as you to share my first interview with you. Today I am sharing one of the best conversations I have ever had in my life on the topic I love the most that is SEO and Digital Marketing. Here is my first interviewee. I would like to Thank a lot and Welcome Nikhil Saini, Founder of “My Quick Idea“ to Rusty Blogger column. Nikhil is known for his engaging and value added posts for his readers. I love his blogging style and it is a value blog for newbies to learn blogging tips. His passion drives newbie bloggers to aspire and excel more in this amazing field of Blogging. During this conversation, Nikhil revealed some hidden truths and myths of blogging. Let me tell you one very important thing that Nikhil is going to reveal some really amazing secrets of blogging and SEO in this interview. So stick to your amazing electronic devices to take benefit of this exclusive interview with Nikhil Saini. You can also ask questions in the comment box from Nikhil later on. Here goes the first ball. Abhishek: Nikhil, Define yourself before and after My Quick Idea? Nikhil: First of all I would say – It’s my pleasure to have on Rusty Blogger. I am really thankful to you for getting me a chance to interact with your blog audience. I hadn’t had any solid motive to my life before Myquickidea. I was working as an SEO in a company along with my studies but it wasn’t giving me satisfaction. So I decided to leave the job, and then started Myquickidea. After Myquickidea, the life has been changed completely. As a blogger, you got so many responsibilities. When I was in the office, there I used to work for certain hours. After starting my blog, I was working up to 15 hours a day. You have to work harder to establish a blog. If you are consistently making an effort to make your blog better, it would get you the fruits of your hard work one day. My blog has started to give me the candies of my contribution. I am happy to say that I have been more dedicated after having Myquickidea. Abhishek: When did you start Blogging and Who is a role model? Nikhil: I started my blogging journey from 11 May 2015 that day I bought Hosting and domain from Bluehost. In the beginning, I was following only to Darren Rowse, Harsh Agarwal, Jyoti Chauhan, Ankit Singla and Neil Patel. As I grew in the blogosphere, I began to follow more authority marketers in the industry. Abhishek: What is the best and worst thing about blogging? Nikhil: The best thing about blogging is that you get the liberty to live an open life. You may plan a trip anytime. There is no boss who always persecutes his employees. You can set your working hours according to your relevance as well as you can work at home. There are many benefits. You can’t count on fingertips, Abhishek. I don’t see any worst with the blogging. Blogging is a mixture of passion, love, dedication and consistency. Once define the subject you love and start a blog on the same topic. Share the in-depth articles on your blog. You will get success. The only worst thing you can see is the scarcity of money in the beginning. Keep in mind, Blogging won’t get you money in the starting. Just keep working hard, you can conquer over the situations. Noteworthy: Folks who want to start their blog can start a blog on Blogger for Free. Abhishek: What is your primary source of income? What are your income plans from blogging? Nikhil: My primary source of income is sponsored posts and content writing work, which I got only through Blogging. We can add a few bucks from Affiliate too. I haven’t made any plan for future yet. Well, I am thinking to dive in the sea of affiliate marketing. I experienced that it has vast possibilities to make passive income online. Abhishek: What a blogger should do after buying a domain up to writing his first post? Install a decent Theme on your blog. Install and activate plugins, like as Akismet, WP Total Cache, Wp Smush, WP-Optimize, etc. Don’t promote blog without having at least 5 posts. Install the WP SEO by Yoast Plugin. It would help you in optimizing blog posts and page (if you are on WordPress). Write 1000+ words informative posts (minimum). Do the essential setting in WP total cache and Yoast SEO plugins. Check on YouTube for the latest tutorial for them. Abhishek: Do you think content is king? How do you maintain the Quality of your content? Nikhil: I would say – Quality content is king. You can’t add garbage on your blog. If you go against it, the wrath of Google may fall on your blog anytime. Should have eye catchy images. Use Canva to create them. Informative content always shares So add more information. Use Statistica.com to have researched data. Link to the resources out of your blog. Use call to action throughout the post. Use proper interlinking to relevant posts. Abhishek: Would you like to share your real secrets of creating backlinks? Nikhil: I personally love to do blog commenting to create backlinks. In addition to commenting, social bookmarking is also in my list. In general, I always search for the authority links, which will pass the link juice for a long time. (Here is a complete list of 150+ High PR Social Bookmarking Sites and blog commenting sites list free from where you can create high quality backlinks). Abhishek: Is Blogging is the only thing you do? How do you manage your time? Nikhil: Apart from blogging, I am a content writer. It’s hard to manage the time. I am learning to manage the tasks. One thing I do is create a “To-Do List” before the next day and prioritize the tasks according urgency. Abhishek: Do you see a vibrant career in Blogging? Nikhil: Yes, the big companies also hire bloggers to promote their products. There are countless opportunities in the blogging. Be an authority in your niche first to get success. In the future, the face of blogging may change. The Vlogging (Video Blogging) may replace the current way of blogging. Hence, you can also try hands in Video Blogging. Abhishek: Some Online Marketing Experts say SEO is Dead? How would you consider it? Nikhil: Not at all, People are proclaiming it from a long time. It’s never going to happen. At least not in upcoming 5 to 10 years. It’s a very big industry. SEO is what inspires bloggers to share quality articles to have better ranking in the Google. The SEO is dead means the old school SEO techniques aren’t alive in the present time. SEO is transforming to an ethical zone. Google is striven to offer the exact information the user wants. Therefore, we have witnessed the frequent commence of Algorithm Updates by the Google. Abhishek: Some suggestions for newbies to advance their blogging methods? Nikhil: I would only say learn from other bloggers. Some are doing the very good job and sharing value. Be active on Forums like Warrior Forum, the secret knowledge are begin shared there. First write a quality post and use each method to promote that piece of content. It’s a process, but newbies want to learn everything in a day, which isn’t possible. Follow these steps to learn Blogging. Create an excel sheet of Top blogs in your niche. You can find them from Google. After that, begin to read their posts regularly and don’t forget to leave a valuable adding comment each time you read a post. Keep it doing every day. Important: How do you research keywords? Is it difficult for you to find long tail keywords? 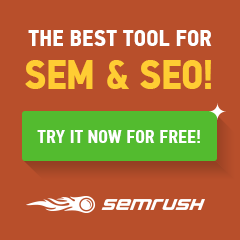 Checkout How to find Long Tail Keywords? Abhishek: Your words for Rusty Blogger and me? Nikhil: You are doing very well. Try to get traffic from the search engines. By this way, you will get a constant flow of traffic to your blog as well as it will help you in conversion. Nikhil is really an inspiration to all the people in the Blogosphere. I have learnt a lot from Nikhil. His posts really gives you a deep insight about the topic from where you can apply things in real life. Thanks again Nikhil for sparing your valuable time for Rusty Blogger. Friends do not forget to share this Inspirational Story of Nikhil Saini with your friends. How to Index a New Website Quickly on Google? This is Rusty Blogger's first interview and our Guest is Nikhil Saini, Founder of My Quick Idea who is a passionate SEO and Blogger. He has revealed some of the greatest SEO Tips and Blogging Techniques for Bloggers. ← How to Create a Sitemap & Submit to Google & Bing Webmasters? I am following from 1 year. Question is to good and Nikhil Given The very impresion answer of all interview question..
Keep inspiring other bloggers, te future is yours . Awesome Interview. Really Many Thing Learn With Nikhil Saini He is Realy Doing Good Work. Thanks for sharing Nikhel. I have been thinking of creating an Excel spreadsheet of blogs in my niche, and now I am definitely going to do it. Thanks for the tips! You have asked the perfect questions. Nice Interview!